The College of Human Sciences at Oklahoma State University is a member of the Great Plains Interactive Distance Education Alliance (Great Plains IDEA). Great Plains IDEA is a consortium of universities that can help you reach your goals through online education. Working together, the Great Plains IDEA developed an internet-based curriculum that allows you to do course work at your convenience. The courses in each program are semester-based and asynchronous, meaning you will not have to be on your computer at a specific time or day during the week. Instructors will set specific due dates for assignments; however, your work may be submitted anytime during the week up to the deadline. Family and Community Services M.S. Early Child Care and Development B.S. Students select OSU as their home institution where they will enroll in all courses through the OSU Great Plains IDEA Coordinator; although some courses may be taught at a participating university. All graduate courses have a common price of $580 per credit hour, while the undergraduate courses have a common price of $415 per credit hour. There is no difference in resident and non-resident tuition. The price covers all course costs except textbook purchases. 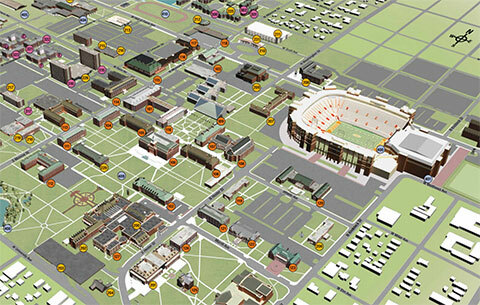 At the end of each semester, grades are reported on each student’s transcript at OSU. Student do not have to request transcripts from the teaching institution.